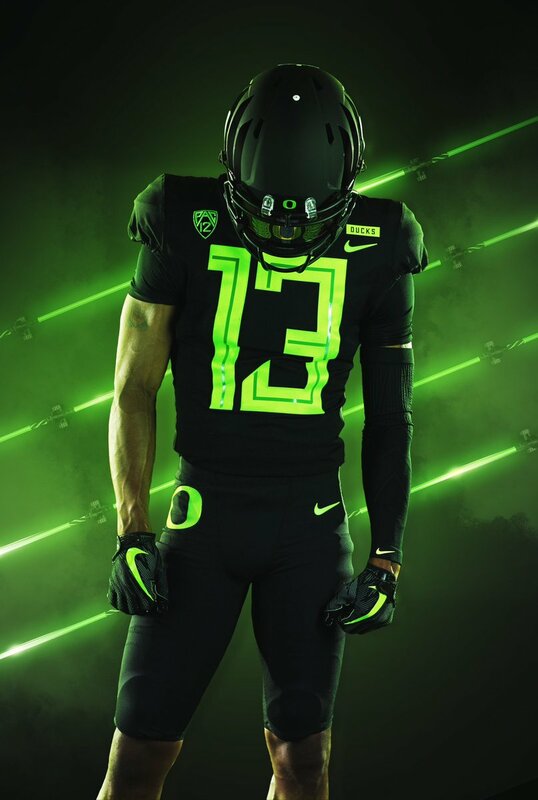 This week Oregon is busting out their black and electric green uniforms. 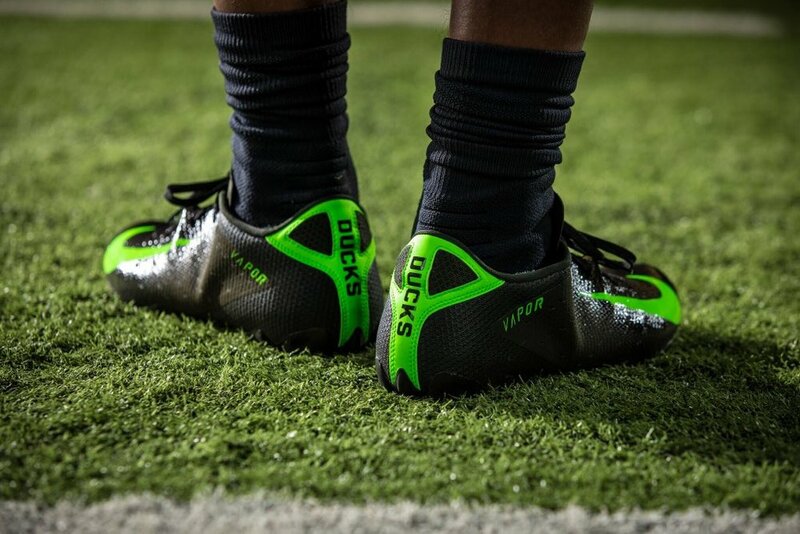 The look will feature a matte black helmet with gloss black wings. The black jersey will have the large electric green numbers that really jump off the jersey.